Photo by Richard Lim photography. The National Main Street Center named Howell Main Street one of 10 semifinalists for the 2016 Great American Main Street Award. Howell joins (in alphabetical order) these other Main Streets: Audubon Park Garden District, Orlando, Fla.; Bastrop, Texas; Covington, Ky.; Dahlonega, Ga.; Grapevine, Texas; Los Alamos, NM; Shaw District, Washington, DC; Tupelo, Miss. ; and Vicksburg, Miss. • Model partnerships — Participation of multiple groups, entities and individuals who have been involved in making Main Street a great place. The Howell Main Street DDA is a volunteer-driver organization that promotes downtown Howell as the heart and hub of the community. 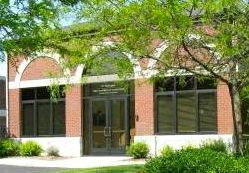 Its office are located at 118 W. Clinton St. in downtown Howell. For more information, click here.